Planning to buy a Bajaj Pulsar AS200 motorcycle? – You might want to pay 2000 INR extra as Bajaj Auto, country’s leading 2 wheeler manufacturer has hiked the price of Bajaj Pulsar AS200. 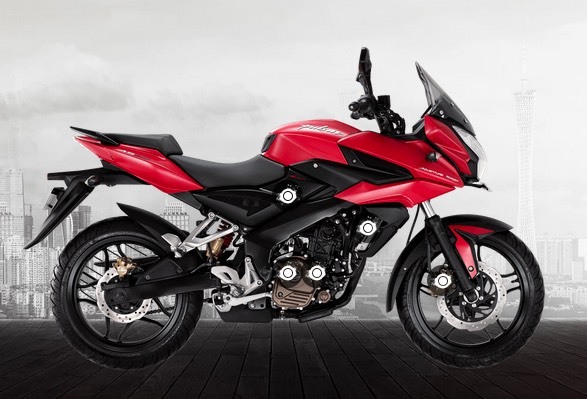 The Pulsar AS200 motorcycle from Bajaj was initially launched at an introductory price of Rs 91,550/- (Ex-showroom, Delhi) and now it costs a little extra – the ex-showroom price of Bajaj Pulsar AS200 stands at Rs 93,552/-. The new price applies only for the 200cc adventure series bikes ( Pulsar AS200) and the price of Pulsar AS150 remains the same as before which is 79,000/- (Ex showroom, Delhi). Bajaj Pulsar AS200, the bike that belongs to Adventure Series category is powered by a 199.5cc single cylinder engine. The Pulsar AS200 is capable of producing a maximum power of 23.5 BHP at 9500 RPM and delivers very impressive 18.3 Nm of torque at 8000 RPM. The Pulsar AS200’s engine is mated to a 6-speed manual gearbox. To keep the price of the bike low, Bajaj has skipped the fuel injection system on Pulsar AS 200 and retains the conventional carburetor method. The Bajaj AS200 bike is 8 Kgs heavier than Bajaj Pulsar NS 200. The price hike of Bajaj Pulsar AS 200 is because of the on going festival season.